Sungold tomatoes, beans, cucumbers, lettuce, potatoes, carrots, scallions, and the list goes on…summer salad season is here. 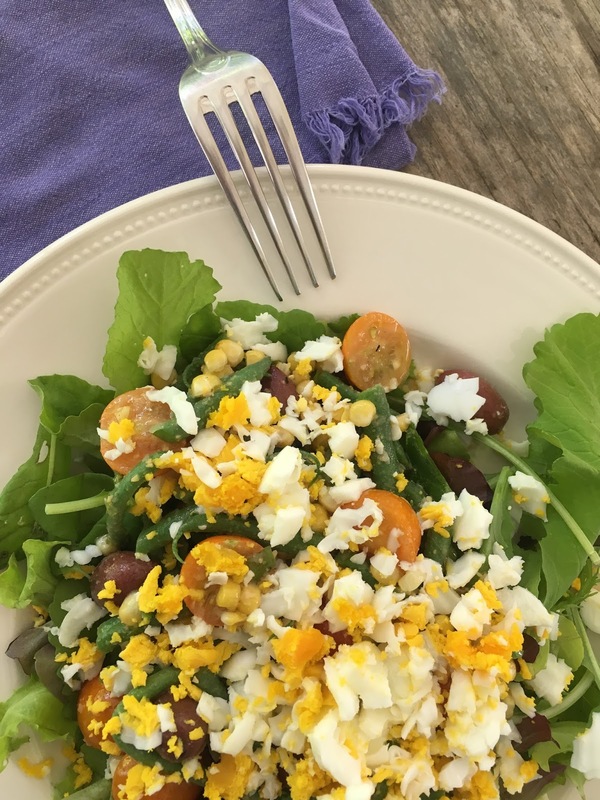 And no matter what vegetables you’re using your salad will be way better topped with a shredded hard-boiled egg. Cover your eggs with cold water, bring to a boil, cover, then remove from the heat and let sit for eleven minutes before transferring to a bowl of cold water. Once peeled shred the eggs with a box grater or force them through the mesh of a wire ladle, spread on your salad and top with salt. It goes without saying that local eggs taste best.